300cm HT Truss is defined by the quick connection system. 50x3 mm tubes , 20x2 mm braces , TUV approved , Made in Europe. 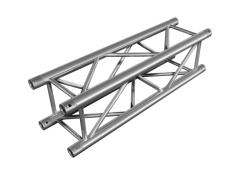 250cm HT Truss is defined by the quick connection system. 50x3 mm tubes , 20x2 mm braces , TUV approved , Made in Europe.